Lion men and women claim team titles at East Texas Invitational. COMMERCE – The Texas A&M University-Commerce men’s and women’s track and field teams both claimed the team title at the East Texas Invitational on a breezy Saturday of action. 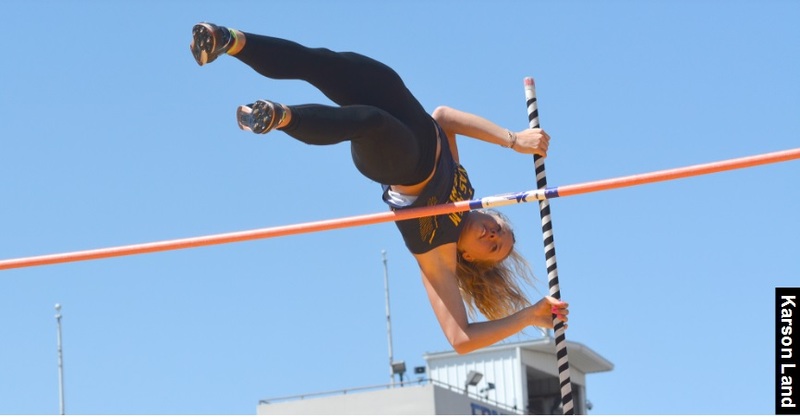 Minna Svaerd set a school record in the women’s pole vault at 3.85 meters (12-7 ½), improving her provisional qualifying mark and now ranking 10th in the nation. She also won the women’s 400-meter hurdles and improved her provisional qualifying time to 1:00.18. Florian Obst earned two provisional qualifying marks in men’s action. He went 7.36 meters (24-1 ¾) in the long jump and also finished the 110-meter hurdles in 14.33 seconds. Other provisional qualifying marks included Sir Morgan Loudd in the men’s long jump (7.29 meters, 23-11) and Stadrian Taylor in the men’s 100-meter dash (10.57 seconds). Kamryn McKee won the women’s 400-meter dash in 57.00 seconds as well as the women’s long jump at 5.72 meters (18-9 ¼). Laura Alicke won the women’s 3,000-meter steeplechase in 12:09.11. Jasmine Roberts won the women’s triple jump at 11.77 meters (38-7 ½). Anitial’a Robins won the women’s discus throw at 46.44 meters (152-4). Hailey Wanoreck won the women’s hammer throw at 55.52 meters (182-2). Candace Thomas won the women’s javelin throw at 33.65 meters (110-5), and the 4×400 meter relay team of Svaerd, Ro’Nisha Simpson, Joy Spann, and McKee won in 4:01.08. Rashard Clark won the men’s 200-meter dash at 21.18 seconds. DeVontae Steele won the men’s triple jump at 15.06 meters (49-5). Armani Smith won the men’s hammer throw at 50.17 meters (164-7). Evan Luecke won the men’s 10,000-meter run in 33:35.49, and the 4×100 meter relay team of Obst, Erick Quiroz, Josiah Dennis, and Brice Ashburn won in 42.38 seconds. The Lion women rolled to 231 points in the team standings, well clear of Tarleton State in second place with 102 points. The Lion men claimed the title with 195.5 points, with Tarleton State finishing second with 100 points. The Lions are next in action on April 19-21 in split squad action at the prestigious Mt. SAC Relays in Torrance, Calif., and the West Texas Invitational in Canyon. No. 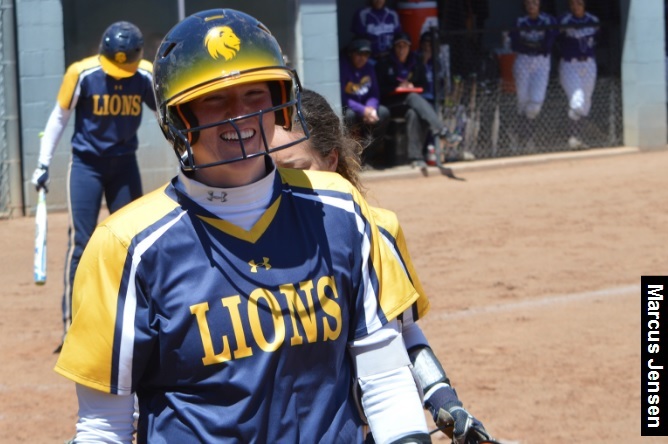 7 Lions hit two grand slams in 18-3 win to sweep Western New Mexico. SILVER CITY, N.M.– The No. 7 Texas A&M University-Commerce softball team defeated Western New Mexico 18-3 on Saturday. The Lions had offensive explosions in the second and seventh innings to run away with the contest. The win brings the Lions to 35-5 on the season and 20-4 in the Lone Star Conference. The Mustangs fall to 4-38 and 2-22 in conference play. The Lions return to action on Friday for a three-game home series against Angelo State. The teams will play in a single game on Friday at 7 p.m. They will then meet in a doubleheader on Saturday starting at 2 p.m. All games will be at the John Cain Family Softball Field. – Kinsie Hebler hit a grand slam in the second inning. She had three hits with six RBIs on the day. For the series, she had five home runs, 11 hits, and 19 RBIs. – Mariah Jameyson hit a grand slam in the seventh inning. She went 2-for-5 on the day with two runs scored and four RBIs. – Kayla Kilcrease hit two home runs on the day. She had three RBIs and three runs scored. – Allie Thompson hit a two-run home run in the seventh inning. – Lacie Bullard picked up the win in the circle, pitching five innings with five strikeouts. Emily Otto pitched the final two innings and had two strikeouts. The Lions went three-up-three-down to start the contest. The Mustangs got two runners on in the bottom of the first, but Bullard fought through, striking out the final batter to end the inning and keep the game scoreless. The Lions busted the game open in the second inning. Jameyson led off with a single. Jodie Hill and Kilcrease walked to load the bases. Monica Cherry also drew a walk to bring in the first run of the game. Ciera Nunez also walked to bring in a run and an infield single from Higgs brought in another. With the bases still loaded, Hebler launched a pitch over the right-center fence to plate four more runs. The Lions led 7-0 after two complete. The Lions added two runs in the third inning. Hill reached on a bunt hit, and she was brought home on a homer from Kilcrease. The Mustangs went three-up and three-down in the bottom of the inning. The Lions held a 9-0 lead after three complete. The Lions retired in order in the fourth inning, and the Mustangs scored two runs in the bottom of the inning. Four hits scored two runners, and the Lions led 9-2 after four. Neither team scored in the fifth inning. The Lions brought another run across in the sixth. Higgs singled and stole second base. A single from Hebler carried her across, and the Lions took a 10-2 lead. Otto came in in the bottom of the sixth. She had two strikeouts but also gave up a home run in the inning to bring the score to 10-3 after six complete. The Lion offense again went off in the seventh inning, scoring eight runs. Kilcrease led off with a home run. Neal singled, and the next two batters were hit by pitches to load the bases. Hebler hit an infield single to bring another run across. With the bases still loaded, Jameyson came to the plate and smashed a pitch over the center field fence. Thompson also hit a home run, this one a two-runner and the Lions led 18-3. The Lion defense closed out the game in the bottom of the seventh. Eight different Lions homer in blazing offensive display in a sweep of Western New Mexico. SILVER CITY, N.M.– The No. 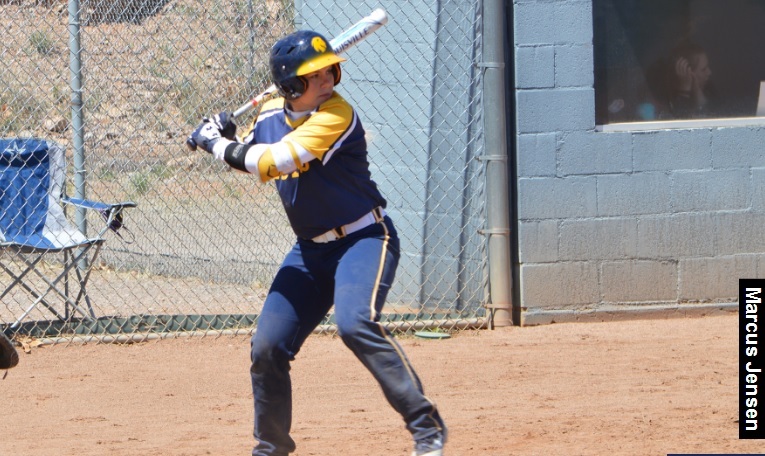 7 Texas A&M University-Commerce softball team put on an offensive display in its two wins over Western New Mexico University on Friday. The Lions won the first game 22-3 and the second game 18-4. The Lions hit 13 home runs over the course of the two games, including four from Kinsie Hebler and three from Bri Sims. The wins bring the Lions to 34-5 on the season and 19-4 in the Lone Star Conference. The Mustangs fall to 4-37 and 2-21 in conference play. The teams will meet again in the final game of the series on Saturday. The game will begin at 10 a.m. MDT (11 a.m. CDT). The game will take place at WNMU Softball Field in Silver City, N.M.
– The team broke six single-game records in the game. They set records for most runs scored in a game (22). Also, the most runs scored in a single inning (12 in 5th), most home runs in a game (8), most home runs in an inning (5 in the 5th), most RBIs (20) and most total bases (45). – Kinsie Hebler hit two three-run home runs, bringing her season total to 10. She had three runs scored and seven RBIs with four hits in five at-bats. – Bri Sims also hit two homers, bringing her season total to nine. She went 4-for-4 with three RBIs. – Mariah Jameyson went 3-of-4 with a home run and three RBIs. Kimber Neal also had a three-run home run. – Vanessa Muro and Precious Thompson also hit home runs as pinch hitters. – Emily Otto pitched the complete game and had four strikeouts. Both teams had an early hit in the first inning, but defense prevailed, and the game was scoreless after one inning. Otto had a strikeout in the bottom of the first. The Lions led off with a double in the second inning but could not get a run across. Otto continued to pitch well, getting another strikeout. The Lions got on the board in the third. Neal reached on an error, and Baylea Higgs hit a single to put two runners on. They both scored on a blast from Hebler, giving the Lions a 3-0 lead. Jameyson doubled right after that, and she scored on the double from Sims. The Lions led 4-0. A&M-Commerce scored six more in the fourth inning. Higgs hit in a run. Hebler scored a run on a single. Jameyson then hit a three-run homer. Sims came up next and hit a solo home run. The Lions led 10-0 going into the bottom of the fourth. The Mustangs scored three runs in the bottom of the fourth. They led off with two singles. After a lineout, the next batter hit the ball over the center field fence to score all three runs. The Lions led 10-3 after four complete. The Lion offense exploded in the fifth inning. They had nine hits, including five home runs and scored 12 runs. Neal hit a three-run homer. Hebler also had a three-run home run. Sims hit a two-run shot. Pinch hitters Muro and Thompson also hit home runs, and the Lions ran away with the score. Otto finished the game with a swinging strikeout, and the Lions won the game 22-3. – The Lions had 12 runs in the second inning, tying the most runs in an inning in school history. – Kinsie Hebler went 4-of-4 with two home runs and six RBIs. She now has 12 home runs on the season. – Baylea Higgs went 3-of-4 with a triple and five RBIs and two runs scored. – Bri Sims hit her third home run of the day, blasting a two-run shot in the second inning. – Kayla Kilcrease hit a home run in the second inning. – Ciera Nunez went 3-of-3 with an RBI, four runs scored and a stolen base. – Chloe Horn also had an RBI. – Lacie Bullard made her first start in two months, pitching three innings. She had a strikeout. Katie Dean pitched the final two innings. Nunez singled and stole second base to lead off. She scored on a single from Hebler. The Lions led 1-0 after a half inning. Bullard pitched well in the first inning as well. She forced two quick outs before striking out the final batter to keep the Mustangs off the board. The Lions led 1-0 after one. The Lions added to their lead in the second. Hill led off with a home run to give the Lions a 2-0 lead. Nunez hit a single to score a run. Higgs then tripled with the bases loaded to score three runs. She was followed by Hebler, who blasted a shot over the fence in right center. After a double from Mariah Jameyson, Sims hit a home run to center. Kilcrease followed her with a home run of her own. Higgs and Hebler both came up again in the order and had RBI singles. In all, the Lions scored 12 runs on 11 hits in the inning. Neither team scored a run in the third. The Lions added four runs in the fourth. Higgs hit an RBI single and Hebler had another home run to score two more, and the Lions led 17-0. The Mustangs brought a run across in the bottom of the fourth to bring the score to 17-1. Horn hit in the final run for the Lions in the fifth inning. The Mustangs scored three runs in the bottom of the fifth before the game ended early due to the run rule. Lions hold at third in South Central Region rankings. 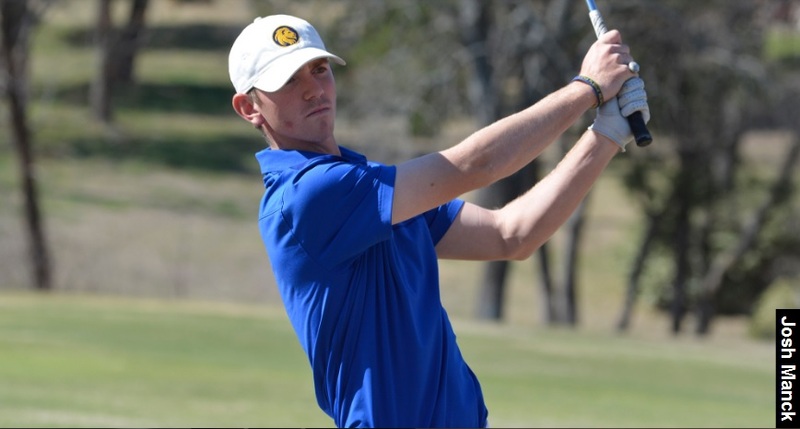 INDIANAPOLIS – The Texas A&M University-Commerce men’s golf team is ranked third in the second release of the NCAA Division II Regional Rankings, as announced Friday. These rankings are used to determine the field for the NCAA Championships in May. The South Central/West Super Regional Tournament will be in Amarillo on May 7-9. A total of ten teams from both the South Central and West Regions will advance to this tournament. The top five teams at that tournament will advance to the NCAA Division II Championships on May 21-25 at the Robert Trent Jones Golf Trail at the Shoals, Fighting Joe Course, in Muscle Shoals, Ala. The Lions are the top-ranked team in the Lone Star Conference, which does not have an automatic qualifier to the tournament. A&M-Commerce finished in the top five positions in eight of the nine regular-season matches the Lions played in this season, including a tournament title at Arkansas-Fort Smith to close the season. A&M-Commerce is ranked 20th nationally in the Golfstat team rankings. Also in the South Central Region are Colorado-Colorado Springs at No. 12 and St. Mary’s at No. 21. The Lions are next in action at the Lone Star Conference Championship on April 23-24 in Abilene. Lion Sports Medicine has two student athletic trainers honored by LSC. RICHARDSON – Texas A&M University-Commerce Lion Sports Medicine had two student athletic trainers honored by the Lone Star Conference during their annual Student Athletic Training Academic Awards announced on Friday morning. A&M-Commerce sophomores Lakeyra Whitney of Corinth and Pedro Mondragon-Lopez of Dallas earned the LSC Academic Award in their first year of eligibility. Each academic year, the LSC recognizes student athletic trainers who devote several hours to assist with the operation of the athletics department while also finding the time to excel in the classroom. To be eligible for LSC academic honors, student athletic trainers must carry at least a 3.30-grade point average with a minimum of 24 semester hours at the nominating institution. 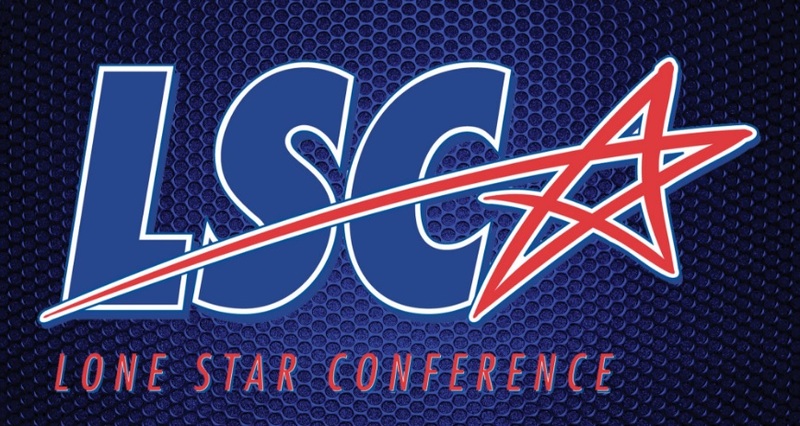 The qualifications mirror those required of student-athletes to gain LSC All-Academic recognition.